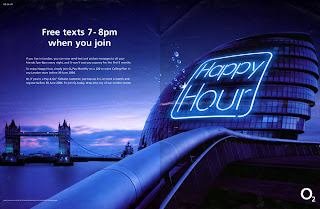 Mobile phone giant O2 tied its brand to the Evening Standard to promote its 'happy hour' free-texts promotion. 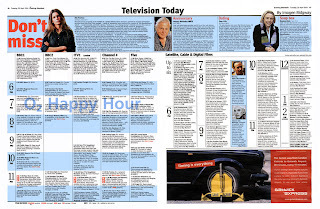 The campaign included a four page glossy O2 wraparound, display activity in the main book and a ground-breaking presence in the TV listings. 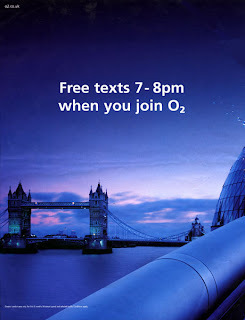 The campaign saw the newspaper provide an integrated, unusual and effective way of telling London consumers about O2's offer of free texts for six months between 7pm and 8pm for those signing up to O2 in the London area. 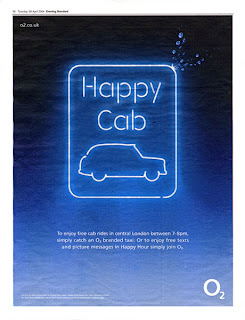 The Evening Standard illustrated how newspapers can drive spontaneous brand awareness through dramatising the offering in a timely and targeted way. 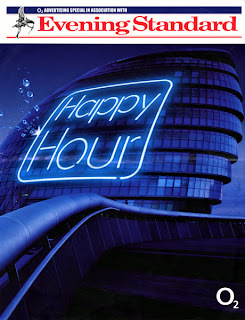 150,000 copies of the Evening Standard were wrapped in a four page glossy O2 ad which were handed out free during the 7-8pm Happy Hour in central London by 100 people each day for five days (14-20 April 2004). Display activity in the newspaper ran for a week to support this, while O2 also occupied the 7-8pm slot in the Evening Standard's TV listings guide on 20 April 2004 - the first time that such a piece was carried.